Teegarden spoke about her involvement in 'Rings'. Upon the release of horror threequel Rings in cinemas, the third instalment in the Western re-makes of The Ring, one of its stars, Aimee Teegarden, has spoken about what her scariest experience of making the film was. 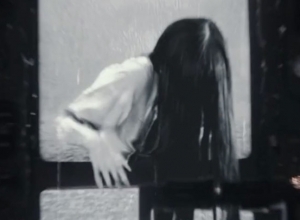 Rings follows more than a decade on from The Ring, which was a re-make of the cult Japanese favourite Ring, starring Naomi Watts and released in 2002. Teegarden, who was not even a teenager at that time, remembered her and her friends’ reaction to it when it was released. It's been 13 years since the horror cycle of the legend of Samara was apparently broken, but it seems she has not killed her last victim yet. When Holt decides to investigate the curse (which has now faded into urban legend), he is rescued by his girlfriend Julia who watches the fatal tape instead of him online, giving herself seven days to live. Those seven days prove to be a terror-filled nightmare; she is haunted by supernatural forces and her telephone burns a Braille message into her palm. She and Holt decide to investigate deeper into the mystery and try to find a way to end the curse before it's too late. They visit a blind man named Burke who tells them that the message on her hand reads 'rebirth', and informs them that they have opened a door which has endangered everyone. Because one thing that nobody new about the legendary videotape was that there was actually a movie within the movie.